Camp comfortably for the weekend or more in this spacious, lightweight Minnie travel trailer. 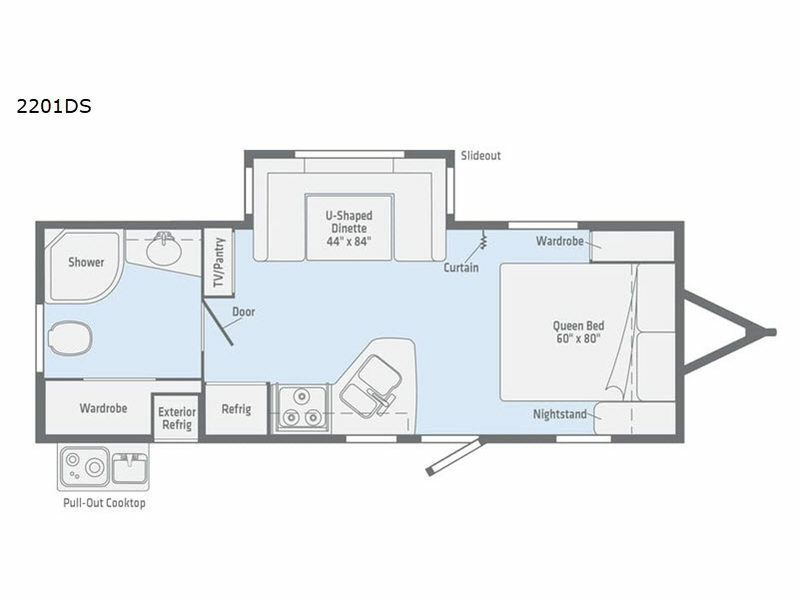 This model offers a spacious rear bath including a large wardrobe for your clothing. 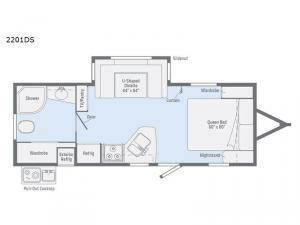 In fact, you will find abundant storage throughout the entire unit both inside and out. You can easily dine inside with added family or friends thanks to the U-shaped dinette slide out, and if you need extra sleeping space, the dinette easily folds down into a comfortable bed. The queen bed up front will also provide a great night's sleep. For a bit of privacy, there is a curtain that can be pulled to separate the queen bed from anyone who is sleeping on the dinette if you like, and to spend maximum time outdoors, you can choose to cook breakfast, lunch, and dinner outside during nice weather with the aid of an outdoor kitchen that includes a single sink, a two-burner cooktop, and refrigerator.